RSS reader oriented to gossip magazines and news. 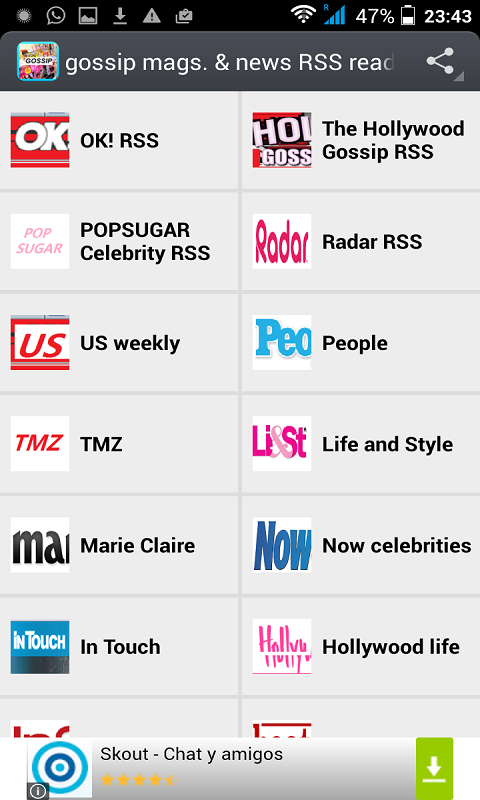 Feeds of gossip and celebrities preselected as OK!, People, In Style, Stars, Marie Claire… All in english. Enjoy your favourite blogs and news in magazines of celebrities on your mobile or tablet.